What if you one day try to shop on the internet for clothes? What if you don’t know if the clothes that you see on the screen fit you? I think there is a solution that I found on the Lands’ End website. They have a virtual model powered my My Virtual Model Inc.
You can customise the model to your comlexion, height, hair style and many more. This virtual model can be used for you to fit clothes sold online. -Wine grapes are actually smaller than eating or table grapes. 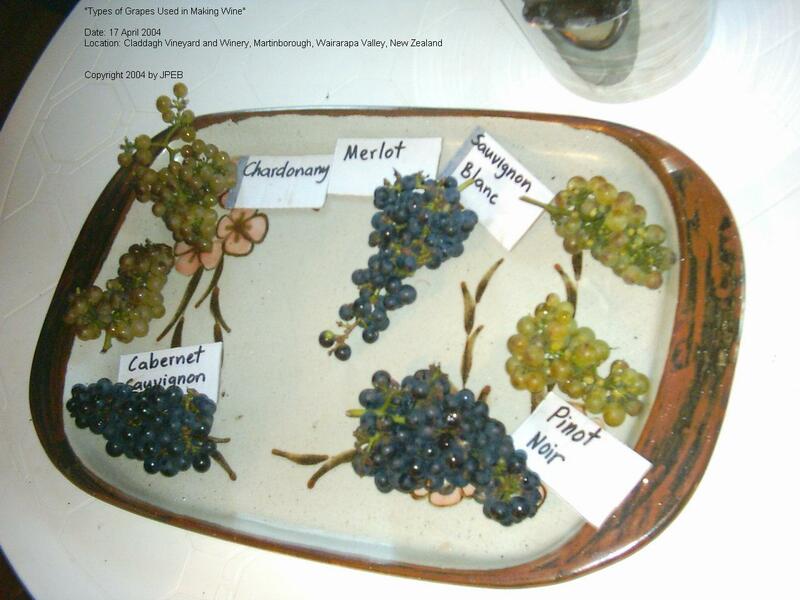 The wine grapes are similar to blue berries in size.-Red wine becomes red because of its contact with the skin. Juice from the wine grapes have the same colour. Its the tannins from the skin that gives colour.-Oak barrels that are used to age wine adds flavour to the wine. A barrel can only be used for three years.-Medium wine is more sweeter than dry wine.-Only “sparkling wine” from France’s Champagne region can label their product as Champagne. I’ve just finished watching the DVD “The Good Pope.” It is the story of Blessed Pope John XXIII. His story was very inspiring. The Good Pope was played by Bob Hoskins. I managed to watch the movie on a faulty DVD. The Good Pope was the one responsible for the Holy Mass to be celebrated in our native tongues through his initiation of the Second Vatican Council. Although I do not see anything evil to use Latin but we must ultimately understand what are the readings and gospel are. I guess a lot of those against the change believed that it would change the way the Mass is celebrated world wide. In my experience the format is the same every where you go except the language used and the songs. It made me think. How in God’s name can some people say such negative things against the Roman Catholics and their Church if they’ve got many notable people who have been role models and have changed lives for the better? I was reading a Google News news post about a “nationwide” casting call New Zealanders to be extras at the new “The Lion, the Witch and the Wardrobe” (news article). On the same website there is a link to another article about this new US TV reality show about bad singers called, “The WB’s Superstar USA.” It mentioned the name of William Hung an American Idol hopeful who “became” a superstar for his guts to sing. He actually cannot sing and I am not exaggerating. William Hung reminds me of New Zealand based “singer” Wing. Critics have cautioned would be listeners to her CDs to take care of their jaws due to the none stop laughing. You must hear it for yourself to see if the critics are right. She has produced more than 7 albums. I was reading some news and there was a feature on Australia’s relative success in the treatment of cancer. The news report cited that Australia has enough radiotherapists, diagnostic equipments and radio therapy equipment. What sparked my interest was the mention of a special and new cancer diagnostic tool called positron emission tomography (PET) scan. A PET scan helps in the identification of cancer cells in the body. Before the patient is “scanned” inside a bagel shaped “thing” he or she is injected with a sugary substance that has a radioactive substance. Normal cells and tissues in the body absorb just the right amount of glucose (blood sugar). Cancerous cells and tissues absorb more glucose. Since the glucose has the radioactive substance the cancerous cells are more visible in the scan. It is like the cancer “glows” in the dark of normal cells. This new procedure can identify cancer in its early stages even if there are no obvious signs such as lumps or pain. I thought this technology is exclusive to one supplier but I was surprised that there are more than three who sell these equipment to hospitals worldwide. Although there are many suppliers of this equipment this tool is not cheap. My best guess is that this equipment may cost more than USD 1,000,000. Like what I have said before during the Christmastime Holy Week is my prefered Christian celebration of all. It is more solemn and allows me to be closer to God and the Church. During Christmas it is too commercialised that one can easily lose focus on what it is about. Poor Enbrethiliel she is complaining about those who abuse the welfare system. She thinks this is an unfare system for the tax payers. She has good reason but again let us be reasonable. Surely there are abuses in the welfare system but I still believe that most who are in welfare benefits have genuine and honest reasons. I asked Enbrethiliel of what her alternatives were to the current system and she said that those on welfare can ask their friends and family to help them. You see it is not easy to ask help from families and friends. Most of them have their own families to support and bills to pay (eg. mortgage). It is easier said than done. Asking from friends and family may not work in societies with weak family networks and even those societies with weak nuclear families. If we want to purge the system for those who use it as a piggy bank we need new measures that would ensure that ONLY those with real needs get state aid. Such measures can be maximum weeks of support and a state and privately operated employment agency wherein all those in the welfare must participate.